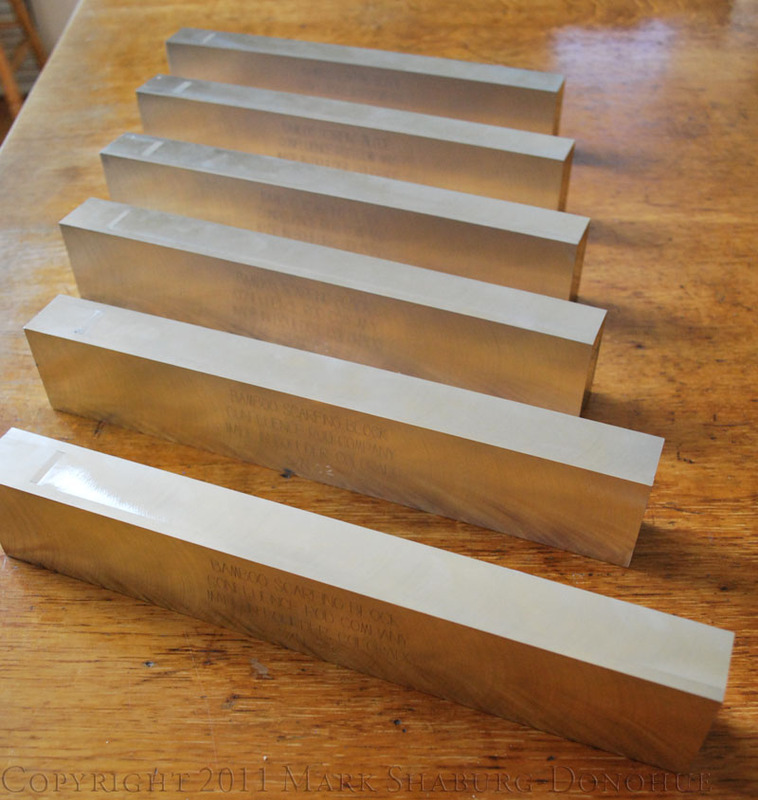 The Confluence Bamboo Scarfing Block is made from solid 6061-T6 Aluminum Bar Stock. 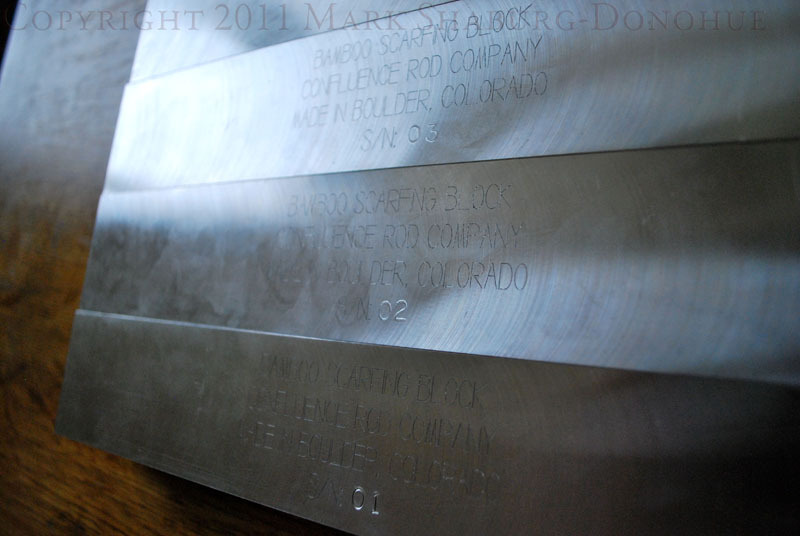 The block measures 11.5" x 2" x 1.75". The block features a precise 20:1 slope. 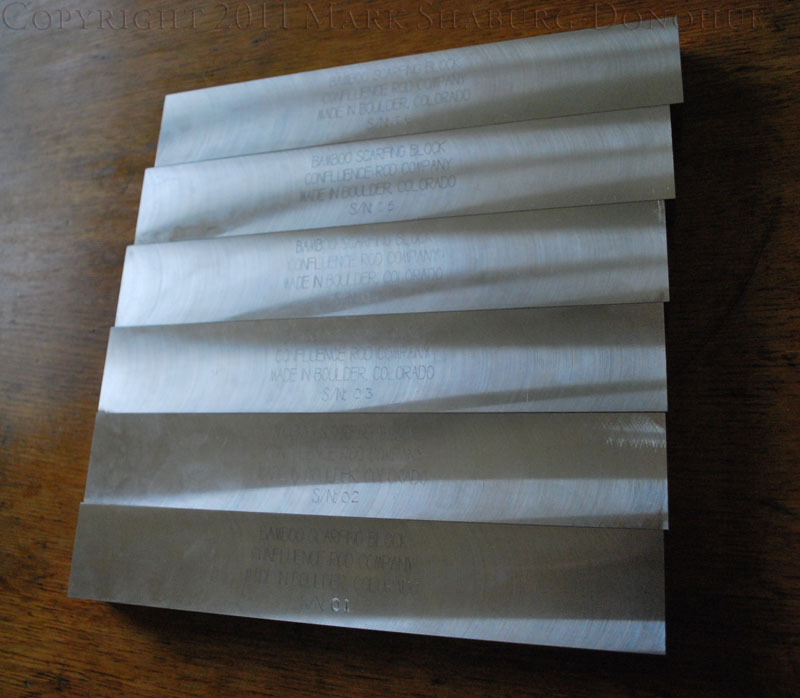 Perfect for making spliced joint ferrules on spey rods, or scarfing broken rod sections. 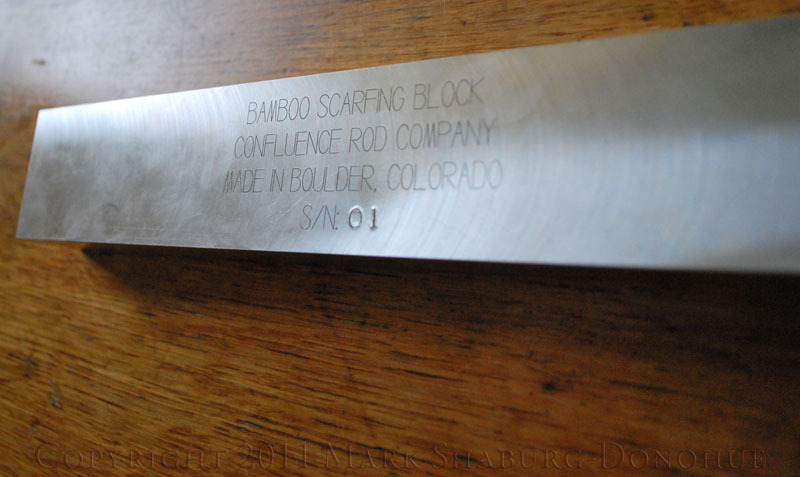 The Confluence Bamboo Scarfing Block is also perfect for cutting splices for nodeless rods. 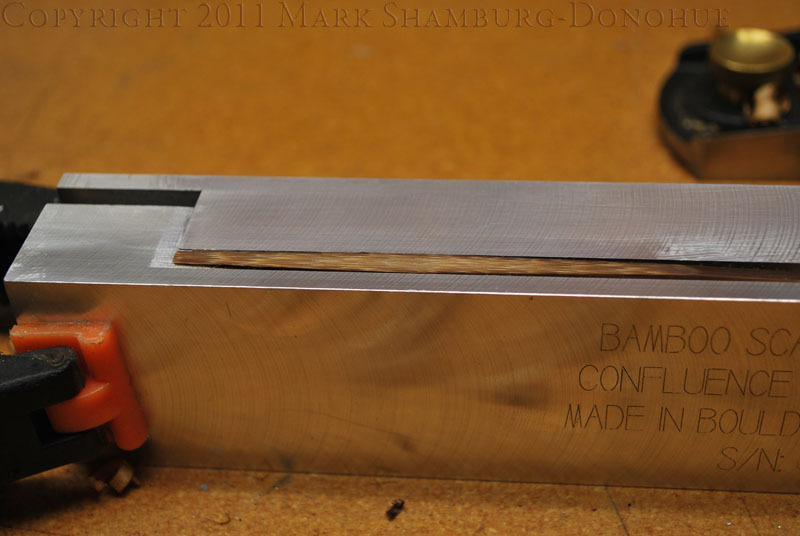 To use the block, simply lay the bamboo section in the block so the end is aligned with the top of the block and clamp in place with the included spring clamps. 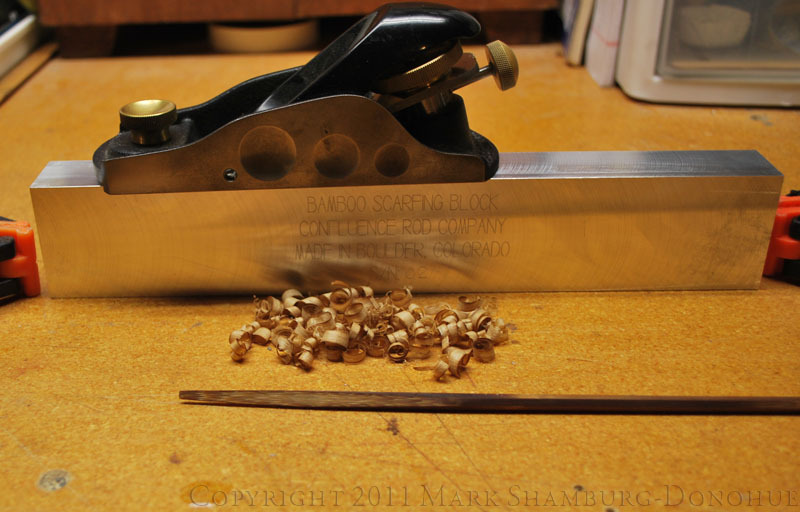 Then plane the bamboo until it is flush with the top of the block. Price: $175 Including shipping and handling in the US. For orders outside the US, please email for shipping quote.